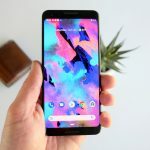 Mar 30th - While companies like Samsung, Huawei, Xiaomi, LG, and even Sony made new smartphone announcements in the past month or so, HTC has remained mum, worrying fans about the future of the company in the process, but it seems that customers need not worry as HTC might have a new phone in the works. Mar 29th - With there being a multitude of third-party keyboard apps to choose from, it can be difficult trying to find the one that best suits you. 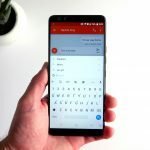 We have put together what we think are the Top 5 keyboard apps for Android, so maybe one of them could be what you are looking for. 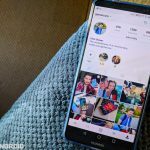 Mar 29th - There are certain extremely basic features that we expect from our applications these days, but yet for some reason, Instagram has neglected to include some of them into its app, but that is expected to change soon. 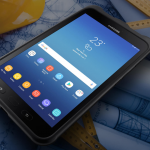 Mar 29th - If you’re shopping for a new Android tablet, then you might be interested to learn that Samsung has announced their latest 8-inch model, the Samsung Galaxy Tab A.
Mar 29th - Huawei recently announced their new flagship smartphones, the P30 and P30 Pro, but in case you’d rather not spend that much, it looks like Huawei has announced a more affordable alternative. 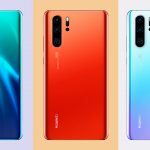 Mar 29th - Huawei only just launched the P30 and P30 Pro smartphones, but it seems that the company is already hard at work developing its next flagship smartphone for the later part of the year. Mar 28th - At the start of the year, Verizon announced that they would be bringing a free robocall blocker tool to its customers, and it looks like the tool is now being rolled out to customers as we speak. 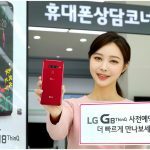 Mar 28th - If you liked what you saw when LG announced the LG G8 ThinQ, then you’ll be pleased to learn that starting next month, you will be able to officially get your hands on it. Mar 28th - While Xiaomi might be taking a backseat when it comes to foldable smartphones, the company seems to still be actively exploring the concept as this video suggests. 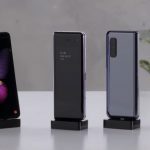 Mar 28th - If you were considering buying the smaller Huawei P30, the company has since launched a special case that will bring wireless charging to the handset. Mar 27th - For a while now we’ve been hit with rumors that Google could have a budget Pixel smartphone in the works, and a new report has revealed its potential pricing along with some additional details. 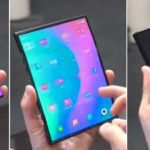 Mar 27th - A recent video surfaced which showed off the Samsung Galaxy Fold in action. 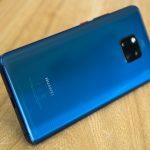 What was immediately noticed was the very obvious crease in the middle of the phone where the hinge lies, which has since led to questions regarding the phone’s design and durability. 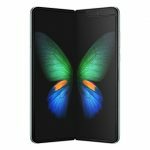 Mar 27th - Samsung has been a bit secretive when it comes to the Samsung Galaxy Fold, but it appears that someone managed to get their hands on the phone a bit earlier than expected, and here is what we can expect. 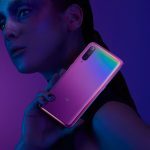 Mar 27th - If you were interested in the Xiaomi Mi 9 but felt that it was a bit too pricey for your liking, you’ll be pleased to learn that Xiaomi might actually have something a bit more affordable in the works. Mar 27th - Alongside the Huawei P30 and P30 Pro, it seems that the company had a surprise announcement in the form of a pair of smart glasses. 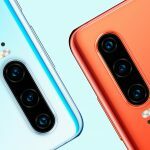 This will see Huawei attempt what Google had failed at before, and what Apple is rumored to be tackling in the future.